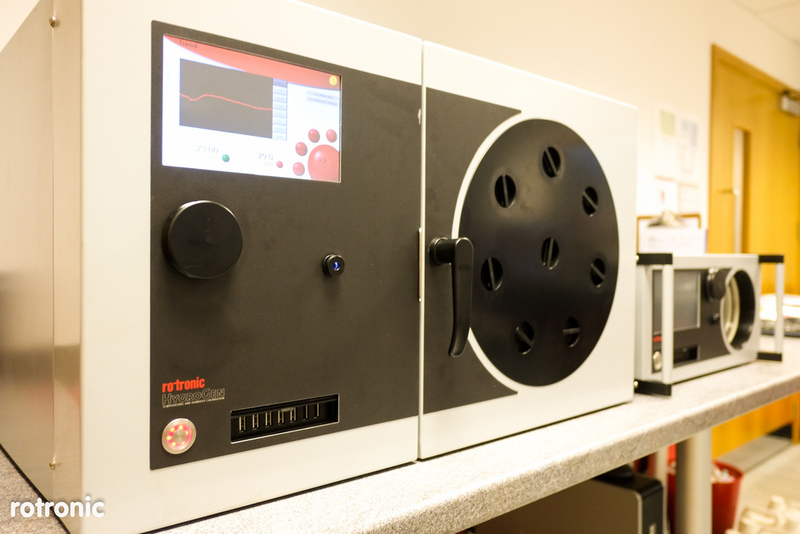 Introducing the next evolution of Humidity and Temperature calibration chambers from Rotronic. 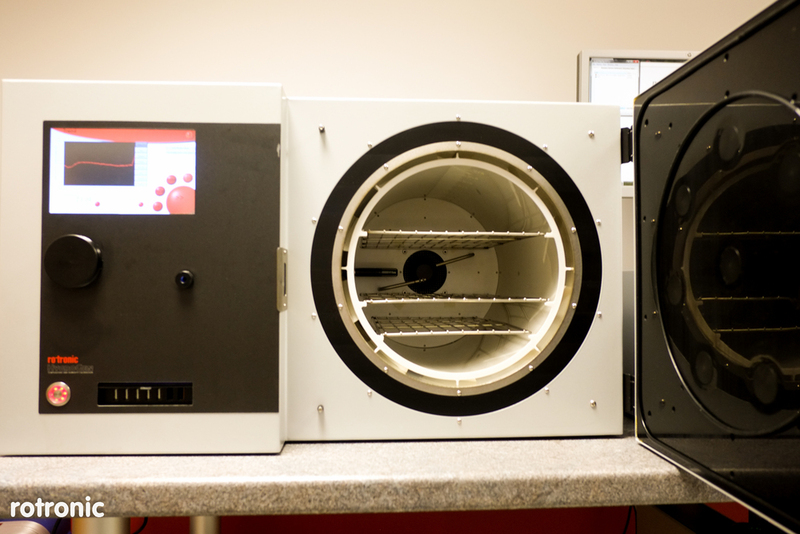 The first HygroGen was launched in 2005 and through its ability to provide outstanding temperature and humidity stability and internal gradients was hugely successful within the calibration and testing industries throughout the world. The subsequent evolution into the HygroGen2 provided enhanced stability and control range along with a modern and simple user interface. In recent years this software has evolved to allow remote access, increased control ranges and importantly the ability automate calibration and adjustment of digital probes as well as utilising chilled mirror references to drive down end user uncertainties. As a result the HygroGen2 is used in both ISO17025 calibration labs but also throughout industry for a range of calibration, testing and controlled air generation purposes. The HygroGen was designed to calibrate small probes from a range of manufacturers and by using a small chamber it achieved excellent gradients and fantastic speed to stable set-point. However sometimes size does matter. The HygroGen2-XL has been designed to provide a larger working chamber volume without loosing the focus on stability, low gradients and speed. Through extensive modelling, testing and development it has been possible to expand the chamber size to 20 Liters (15 Litre working volume) whilst still achieving the standards we and our customers will demand.